Many lawyers view legal technology in terms of how it can aid them in easing their daily work load. In what ways could emergent tech be harnessed in the legal marketplace to better aid clients? 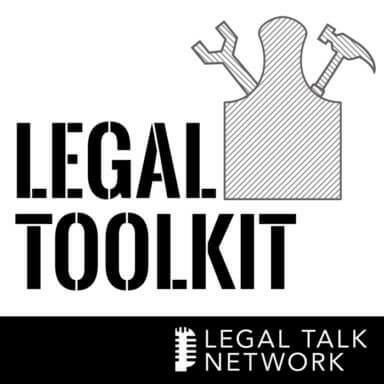 In this episode of The Legal Toolkit, Ledger Labs head of operations and legal Josh Stark talks with Heidi Alexander about self-executing contracts, Bitcoin, and how blockchain technology could impact the practice of law. Josh explains that blockchain technology consists of a ledger or database and a network of computers to oversee and secure that database. He gives a brief background of the creation of Bitcoin, the first technology built on blockchain, and points out that it was designed to create a digital cash-like currency that wouldn’t require any centralized party. Josh addresses security concerns and illustrates how the use of public and private cryptography, as well as the economic security model of Bitcoin, provides more security than traditional credit card transactions and discourages attacks on the network. He defines what smart executing contracts are and gives an in-depth analysis of how blockchain technology could make it easier for clients to do things with fewer billable hours while utilizing basic software features. Josh closes the interview with his thoughts on the impact that smart executing contracts and blockchain technology could have on the legal industry. Josh Stark is head of Operations and Legal at Ledger Labs, Canada’s leading blockchain technology consultancy. A lawyer by trade, Josh left a career in corporate law to work full-time in the blockchain technology space in 2015. At Ledger Labs, he helps clients develop blockchain use cases and understand the long-term implications of the technology for various industries. Josh studied law at the University of Toronto (’13) and has a B.A. from McGill University (’09).